Understanding how a robot will react under different conditions is essential to guaranteeing its safe operation. But how do you know what will break a robot without actually damaging it? 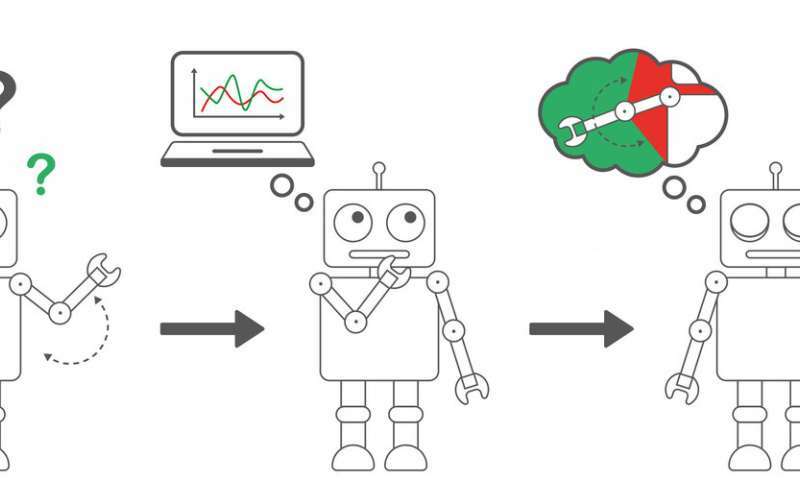 A new method developed by scientists at the Institute of Science and Technology Austria (IST Austria) and the Max Planck Institute for Intelligent Systems (MPI for Intelligent Systems) is the first machine learning method that can use observations made under safe conditions to make accurate predictions for all possible conditions governed by the same physical dynamics. Especially designed for real-life situations, their method provides simple, interpretable descriptions of the underlying physics. The researchers will present their findings tomorrow at this year’s prestigious International Conference for Machine Learning (ICML). In the past, machine learning was only capable of interpolating data—making predictions about situations that are “between” other, known situations. It was incapable of extrapolating—making predictions about situations outside of the known—because it learns to fit the known data as closely as possible locally, regardless of how it performs outside of these situations. In addition, collecting sufficient data for effective interpolation is both time- and resource-intensive, and requires data from extreme or dangerous situations. But now, Georg Martius, former ISTFELLOW and IST Austria postdoc, and since 2017 a group leader at MPI for Intelligent Systems in Tübingen, Subham S. Sahoo, a Ph.D. student also at MPI for Intelligent Systems, and Christoph Lampert, professor at IST Austria, developed a new machine learning method that addresses these problems, and is the first machine learning method to accurately extrapolate to unseen situations. S. S. Sahoo, C. H. Lampert, and G. Martius. Learning equations for extrapolation and control. In Proc. 35th International Conference on Machine Learning, ICML 2018, Stockholm, Sweden, 2018. PMLR, 2018. to appear.